Nepal’s number one conspiratorial political brain, Kamal Thapa recalls how 2005-2006 political movement was organized and which country in effect exported the Delhi residing Maoists back to Nepal. Thapa, the handpicked Home Minister during the fag end of Monarchial rule in Nepal recalls how India engineered the agitation yet given the impression of being commanded by the seven party alliance to the general public. The idea was clearly to fix the New Delhi nurtured Nepal’s rebels in Kathmandu’s power corridors so that Nepal could ever remain within the Indian security ambit and also guarantee that Nepali regimes there after maintain a comfortable distance with the Chinese regime. Thapa who established his political career during Panchayati days by clinging to the Royal family members for several decades, including even the sovereign monarch, very recently talked to Madhusudan Bhattarai of Naya Patrika Daily. 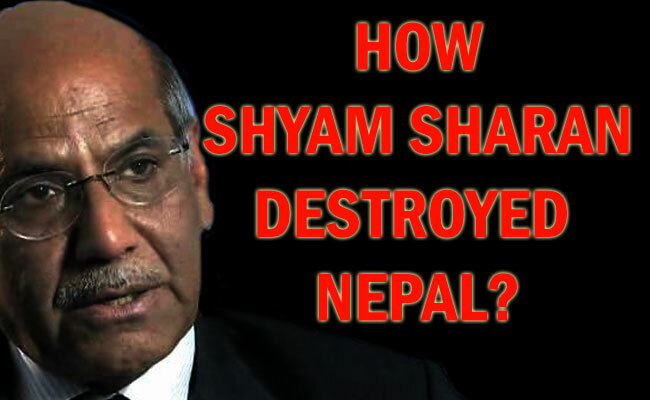 Dr. Karn Singh and Indian foreign secretary Shyam Saran landed in Kathmandu as the Indian emissaries on 20 April 2005.